United started the first derby of the new season with one change from the previous week’s draw at East End Park against Dunfermline. Jim McIntyre was recalled to the starting line-up with Jason Scotland starting on the bench. New signing Paul Ritchie and Canadian international goalkeeper Lars Hershfeld, listed as a trialist, were also substitutes. Derek Soutar kept his place in goal for Dundee with their new goalkeeper Kelvin Jack on the bench as back-up. United started the game looking full of energy. 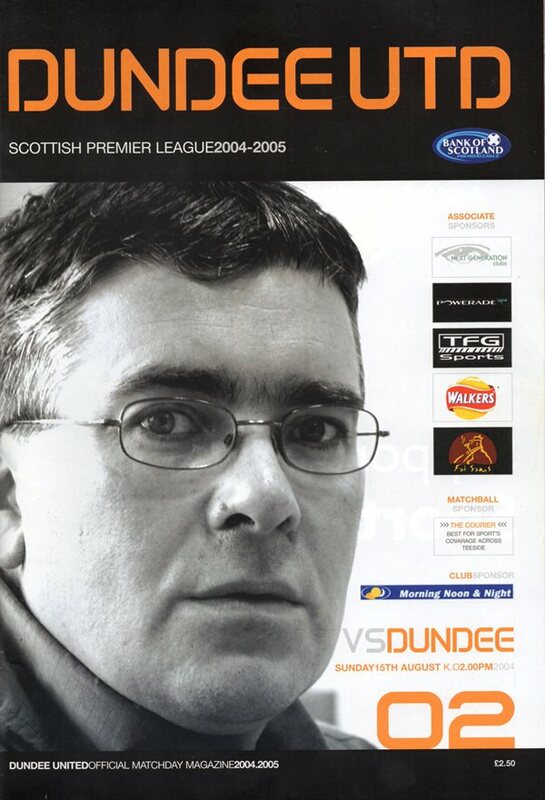 After 30 seconds James Grady, playing against his former employers, forced Dundee into conceding a corner. Mark Wilson’s resulting kick was punched away to safety by Soutar. After three minutes Dundee were awarded a free kick in a dangerous position, but again the ball was played away to safety. 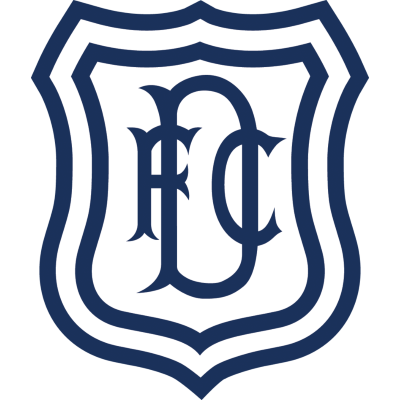 The match was being played in a typical derby fashion and after only seven minutes Hugh Dallas made his first booking of the afternoon when Steven Robb was cautioned for a clumsy challenge on Mark Kerr. United made the first clear-cut chance of the afternoon on the 11 minute mark when from a McIntyre cut-back, Billy Dodds forced Soutar into a great save. Dundee started to come back into the match and had a chance through John Sutton which went over the top. Then after 17 minutes Dundee were awarded a penalty kick. Bobby Mann put through Iain Anderson who was adjudged to have been fouled by David McCracken in the United penalty area. There were furious protests by the home defence but the decision stood and Steve Lovell scored from the spot despite a valiant effort from Bullock. United, who were roared on by a capacity home crowd, went on to dominate the remainder of the half. After 27 minutes, following a foul on Robson, Wilson had a 25-yard free kick well saved by Soutar. Barry Robson then fed McIntyre who saw his effort go just wide. It was then Grady’s turn to try his luck but his header went wide off the post. After 35 minutes Archibald saw his powerful shot well blocked by Brent Sancho. A minute later the Dundee goalkeeper produced a great save from a thunderous shot from the impressive Robson. Shortly before half time referee Dallas cautioned goalscorer Lovell for kicking the ball away in an attempt to waste time. The final action of the half saw a mazy run and shot from Robson, but again his effort was saved by Soutar. United were caught cold right at the start of the second half. Lovell beat McCracken to the ball on the right hand side of the pitch and from his cross, John Sutton scored his first goal of the season with a powerful drive that Bullock got his hands to but could not prevent going in. United at that point replaced Grady with danger man Jason Scotland. United attempted to hit back immediately and Dodds could not believe his luck when from a Wilson corner he saw his header cleared off the line by Anderson. Scotland almost made an instant impact after 54 minutes. McIntyre brilliantly found his fellow striker inside the box but his bullet shot struck the top of the crossbar and went behind for a goal-kick. Two minutes later Manager Ian McCall replaced skipper Derek McInnes with Stuart Duff. United continued to press for a breakthrough and were unlucky with a Dodds header, a shot from Scotland and a Robson strike. It was Dundee who then seized the initiative in an attempt to finish off their hosts. First of all, Bullock made a top class save from young Calum MacDonald before the latter set up Sutton only to see the Englishman blast his shot over the top. In the 87th minute the unfortunate Scotland again saw a shot saved from Soutar with Dodds also going close a minute later with a header at the back post. The last piece of action was when from a Wilson corner, Alan Archibald headed home for what turned out to be a minor consolation.